• Files are formatted as TIF (6 MB) / PNG (under 1 MB) high resolution files. 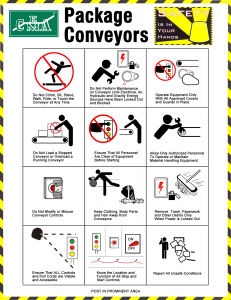 • You can modify the top right panel to include your company’s Safety Program Slogan or print them as they are. • The type of printing and poster material and coating is left to the user to determine based on the anticipated placement of the posters. • Do not try to open the files on your net browser, it will not function. 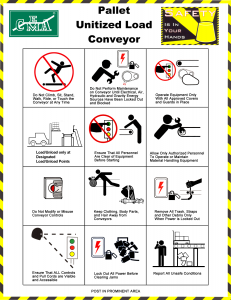 The pictograms on these posters represent the associated CEMA Safety Labels which should be placed on your equipment. See Safety Labels and Guidelines for more information. The 10-minute DVD provides 12 safety rules and lessons for safer operation and maintenance of unit handling conveyors. 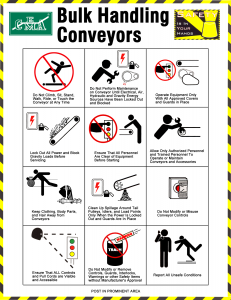 The lessons are tied to the free downloads, CEMA Unit Handling Safety Posters, and Unit Handling Safety Label Placement Guidelines. 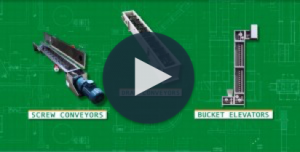 This video addresses the safety of Screw Conveyors, Drag Conveyors, and Bucket Elevators. 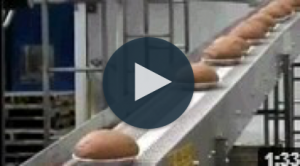 It has been produced by the Conveyor Equipment Manufacturers Association for the express purpose of preventing injuries to people who work around or near conveyor equipment. It contains messages that apply to owners, operators and maintenance personnel of conveyor equipment. 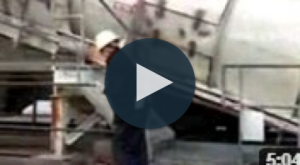 The 13-minute DVD provides 12 safety rules and lessons for safer operation and maintenance of Bulk Belt Conveyors. 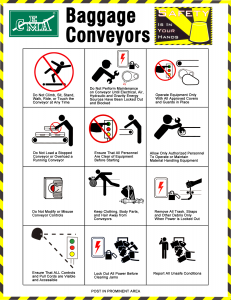 The lessons are tied to the free downloads, CEMA Bulk Belt Conveyor Safety Poster and the Bulk Belt Conveyor Safety Label Placement Guidelines, and the Bulk Belt Conveyor Accessories Safety Label Placement Guidelines. 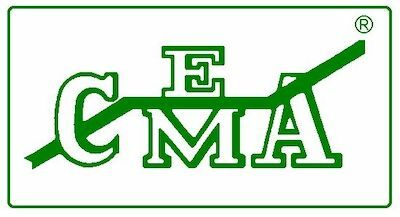 Join our mailing list and receive more safety information directly in your inbox.